I love getting to travel for conferences, especially when they are in cities I’ve never traveled to. It can be challenging, however, to find enough time between meetings and events to get to actually experience something other than the hotel and convention center. And let’s be honest, there isn’t a huge difference between a Hilton in Austin and a Hilton back home in Jersey. This past weekend I was in Austin for the American Institute of Chemical Engineers (AIChE) 2015 Spring Meeting & 11th Global Congress on Process Safety. It was my first time visiting Austin so I knew that I wanted to do at least a little sightseeing and that I definitely needed to check out a few restaurants. I think the key to making sure you get out of the hotel is to plan ahead. First, figure out when you’ll have free time and book a walking tour. That way, even if you’re tired, you’ll be motivated to leave the hotel. Also, be sure to look up a few restaurants that are within walking distance of the hotel in case you have time to run out for a quick lunch or dinner. Otherwise, you’ll be wasting time Yelping when you could be eating. It’s also a great idea to take advantage of any excursions or off-site events your conference is offering. They may be an extra fee, but they will give you a chance to experience some local culture while continuing to network with your colleagues. Finally, don’t forget to check to see if any of the local hot spots have airport locations. That will give you a chance to try their food without cutting into conference time. 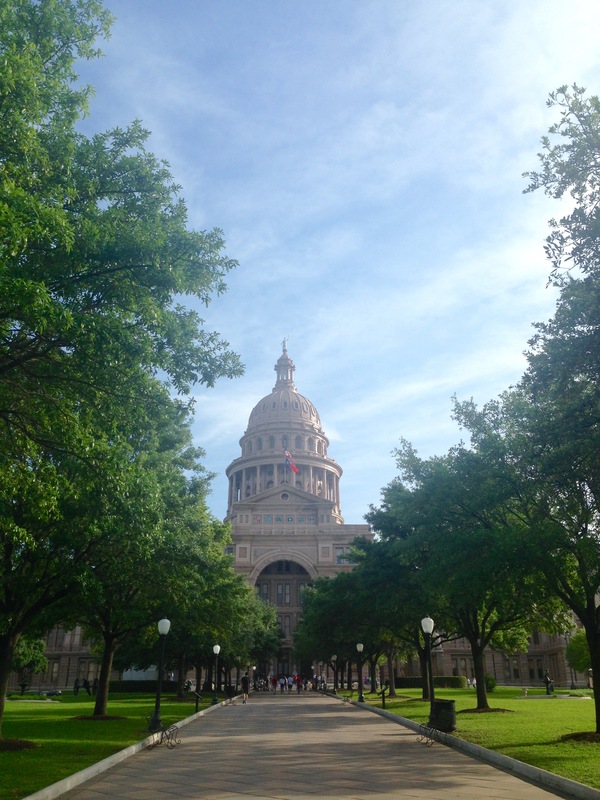 I was able put all of these tips to use while in Austin and ended up having an amazing time. Plus, I was able to maintain my status of cruise director among my conference friends. As you know from our trip to Charleston & Savannah, I’m a huge fan of free walking tours. So of course the first thing I did when I began planning my free time was to google Austin free walking tours. 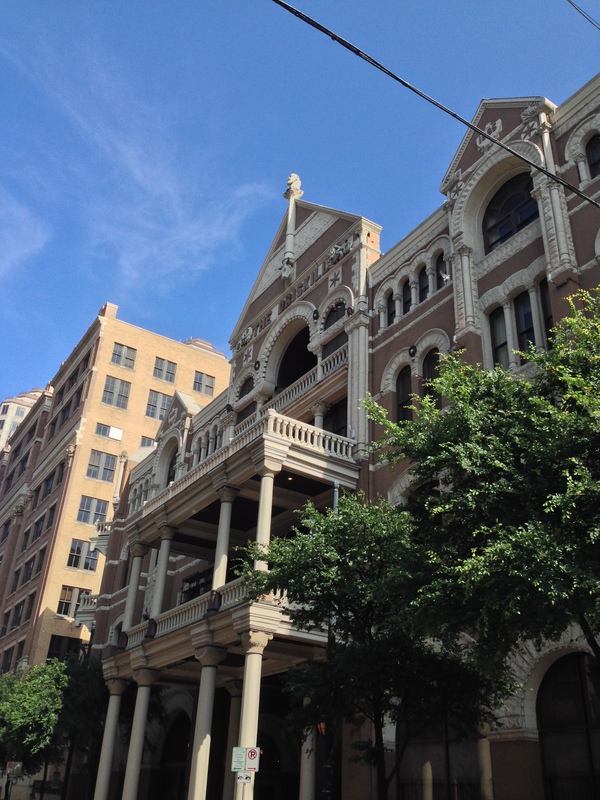 I ended up choosing the Congress Avenue & Pecan Street Historic Walking Tour. You have to make reservations 48 hours in advance, but it is worth it. 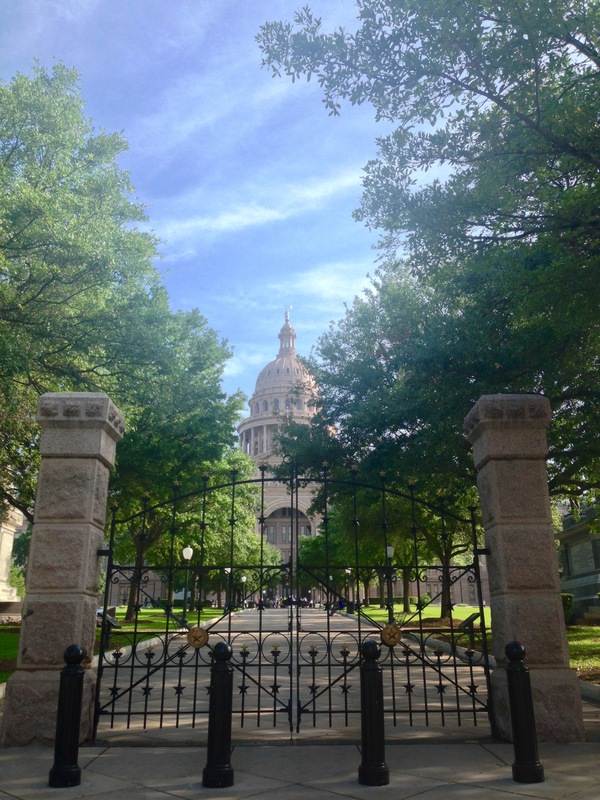 We started at the capitol building and covered about 11 blocks of Austin’s National Register District. Our tour guide Elizabeth was great. 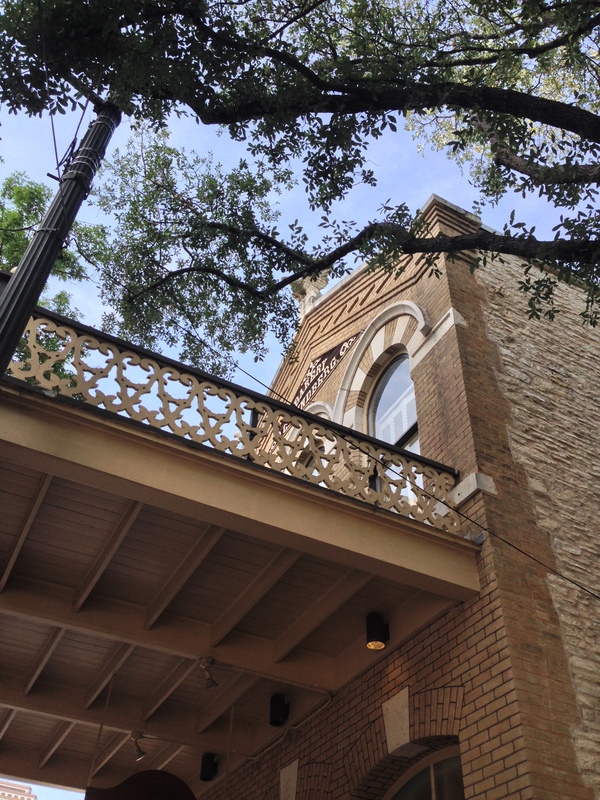 She covered everything from Texas history to the stories behind Austin’s buildings. It was the perfect way to start off my time in Austin since we learned a ton about Austin and Texas but it also helped me to better understand how the city was laid out and what areas I might want to spend more time in. After the first full day of our conference, we were ready to check out the city and find some food. I am a huge fan of margaritas and tacos and so my goal was to find some without walking too far. 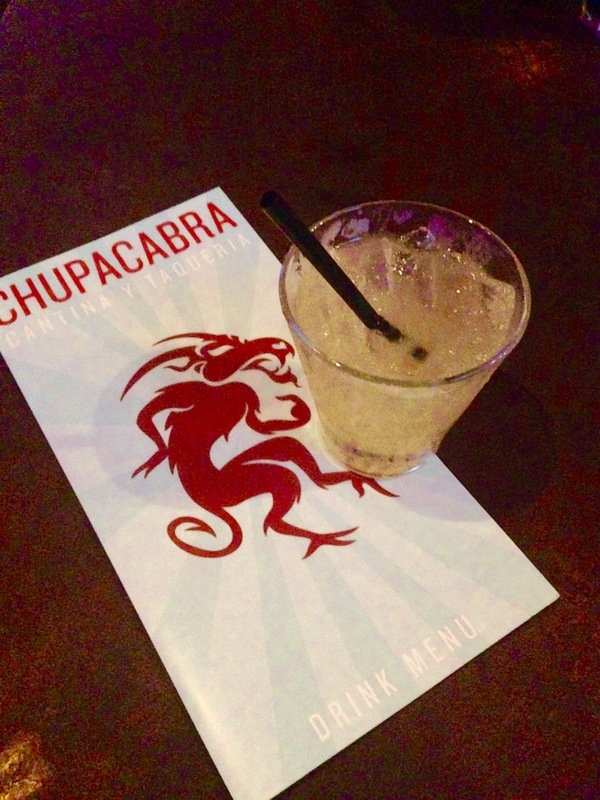 After a stop at the food trucks near 6th Street, we ended up at Chupacabra which was just down the street on Sixth. While their margaritas were okay, the tacos were hands down the highlight of the night. After eating, we wandered down Sixth St. which had been shut down for the evening since it was a Saturday and people watched for a bit before heading back to the hotel. Due to a busy conference schedule, I didn’t end up having time to eat outside of conference events again until Monday. I knew I wanted to try someplace memorable and so I started looking up the locations of all the Austin restaurants featured on Bravo’s Best New Restaurant. Luckily, Swift’s Attic is only a few blocks away and was able to fit a group of seven of us for a late lunch. Our experience exceeded my expectations. The food was amazing and the service was great. 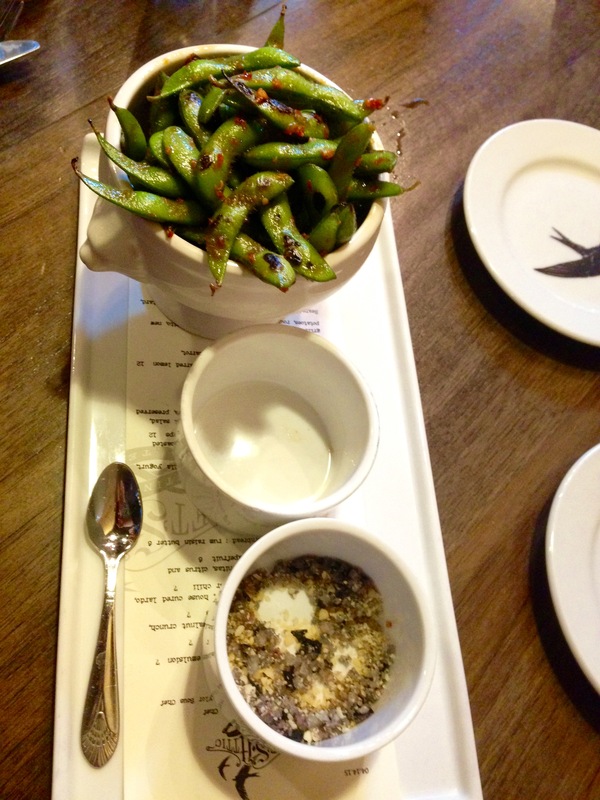 My favorite dish was the Pop Rocks & Edamame which was not only delicious but also incredibly fun to eat. I will be stopping back next (and every) time I’m in Austin. For our last meal in Austin, we ended up at Iron Works BBQ. One of my friends had been there Friday for dinner and enjoyed it so much that he convinced us to go back with him and try it again. It was great for a quick dinner because it was an easy walk and while the line was long, it moved fast. I would recommend it for a quick lunch or dinner. Being a part of the AIChE Young Professionals Committee (YPC) definitely has some advantages. The first was getting to attend a YP Mixer at Max’s Wine Dive. They have an amazing event space in their basement that was perfect for our group. The food was just as awesome as the space. We had everything from spicy pork tostadas to fried chicken. To top it all off, the wines they picked for our group were delicious. The wait staff was also nice enough to walk me through the differences in the two red wines and let me taste them both before making my decision. While the mixer was a ton of fun, I must say that my favorite part of this conference was the YP Volunteer Brewery Tour. 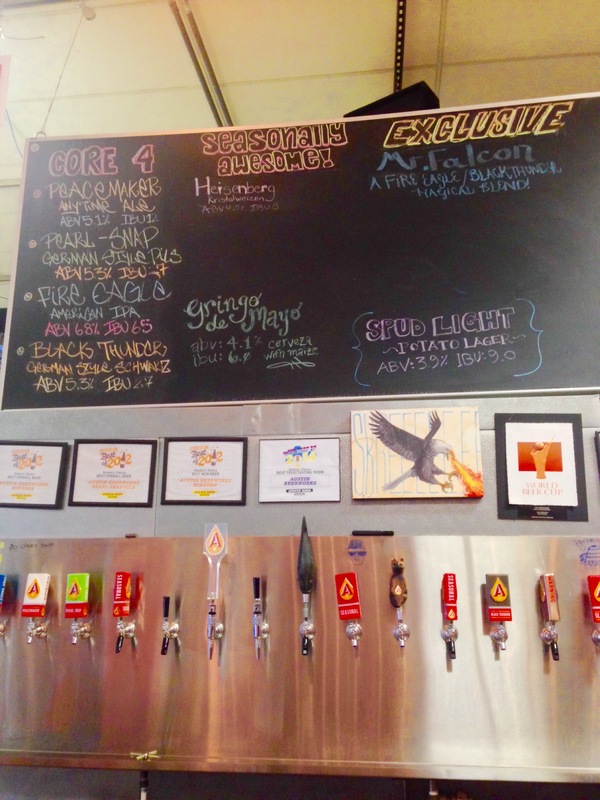 We went to Austin Beerworks and they gave us a private tour. As a bunch of engineers, it was great to be able to ask all of our questions, and it definitely didn’t hurt that they had really great beer. Spending two hours learning more about the beer making process was a great way to close out the conference. While researching restaurants in Austin, Salt Lick was consistently ranked as one of the best barbecue restaurants. I was a little bit disappointed, however, when I learned that they weren’t in the downtown area and so I wouldn’t get a chance to check them out. That disappointment, didn’t last too long though, because while walking through the airport to baggage claim when we arrived we walked right past their airport location. Since our flight home wasn’t until late afternoon, I decided we would need to grab lunch there before catching our flight home. 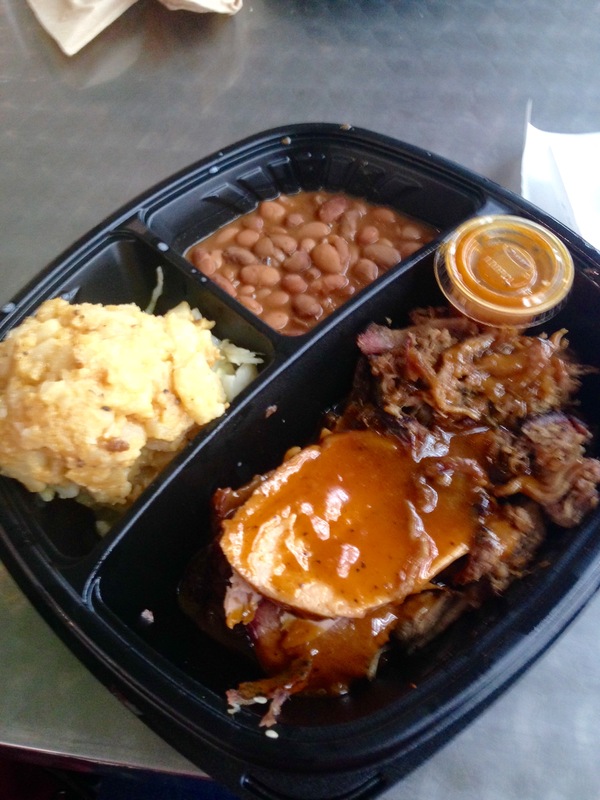 While I’m sure the food is even better in their actual restaurant, the airport location still had some of the best brisket I’ve ever eaten. If you’ll be in the Austin airport, I highly recommend stopping there for lunch or dinner and getting a platter or sandwich. 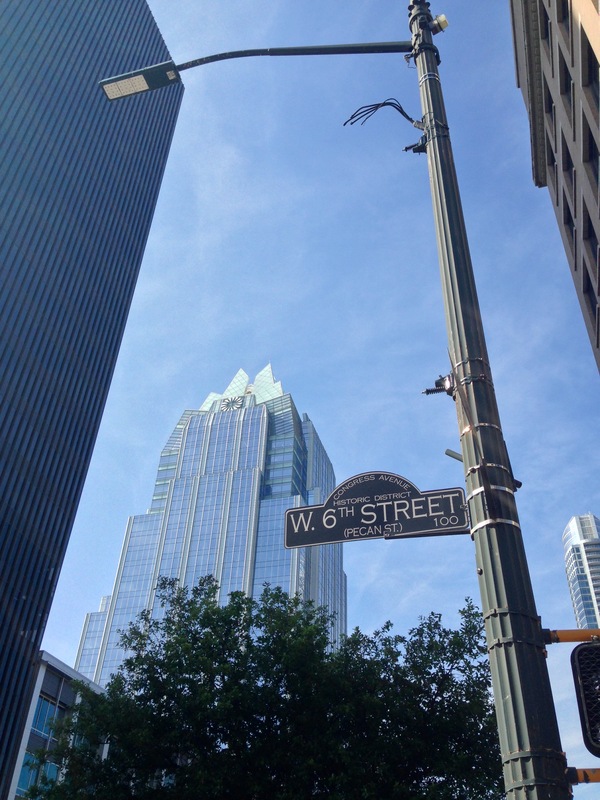 Have you been to a conference in Austin? What places and restaurants were you able to check out in between meetings?